Whether you are planning on replacing the pews in your church, or are simply needing to remove them for remodeling, it might be necessary to move pews to another location while the work is being performed. Because a church pew is heavy, long, and oftentimes awkward to move, it is important to have the necessary equipment and strength to move them to prevent damage to pews and other elements of your church. Here are seven simple tips for moving heavy pews. It is important to either draw up your own seating plan or to obtain one from the company that initially installed the pews to begin with. This step will help to ensure that the seating plan is not being significantly changed when the furniture is re-installed. It could also be beneficial to snap a couple of pictures to go along with the seating plan. When pews are installed, floor supports are also scribed to fit in exact places to accommodate for any slight irregularities in the floor surface. Not all pews and areas of the floor will require floor supports, but it is essential that when the pews are brought back, they are put back in the same place. If the pews are not installed in the same place they were removed from, supports may be too long or too short, therefore, not providing adequate support for the pew. When looking out at the congregation, designate the far-left bank of pews to be labeled as Bank A, moving down the alphabet as you move to the right. The pews can then be numbered as A-1, A-2, A-3, and so on as you move towards the back of the pews. Write the number of the pew on the bottom of the bench so that the numbering isn’t removed or lost during the process. Depending on the style of pew, those that have a hidden anchor system will have a small cover on the inside of the pew ends (and some supports for longer pews) that will need to be removed first. Use a small wrench or socket to remove the nut and washer from the anchor bolt. Older style pews will have an L-shaped bracket that is exposed, and only requires a screw driver to remove. In preparation to finally move the pews, have at least two dollies that are located near each end of the pew, and an additional dolly in the middle for longer pews. The best way to move pews is to have two strong people at each end of the bench, one person in front of the pew, and one behind, who can lift the pew straight up until it clears the anchor bolts. It is also helpful to have a person who is spotting, and can help to guide the pew onto the dollies. Now you are ready to move the pews to the location where they will be stored, or temporarily used. Once at the new location, be sure to carefully lift the pews off of the dollies and set them down gently. 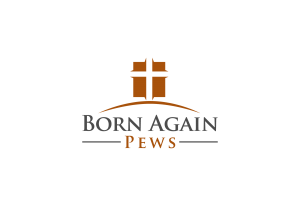 If the pews are to be used in a temporary location, be sure to warn your congregation that unanchored pews can tip over backwards if they are not careful when sitting and standing up. When moving pews, it is extremely important to use caution and not to slide pews from end to end for any reason. Pews are not designed to take this kind of movement, and as a result, they could get cracked or have an end loosened. When necessary, it is fine to carefully slide pews forward and backwards for short distances, but only if both ends are moved at the same rate. When placing pews into storage, it is not recommended that they be stacked on top of each other. In some instances, it is unavoidable, as there is no alternative solution. In these cases, ends will generally need to be overlapped. When this happens, any exposed wood should be padded to protect the wood. Because a church pew is an investment, it is important to take care of them, in order to ensure that they are well taken care of during any times of moving and storing the pews for an extended length of time. 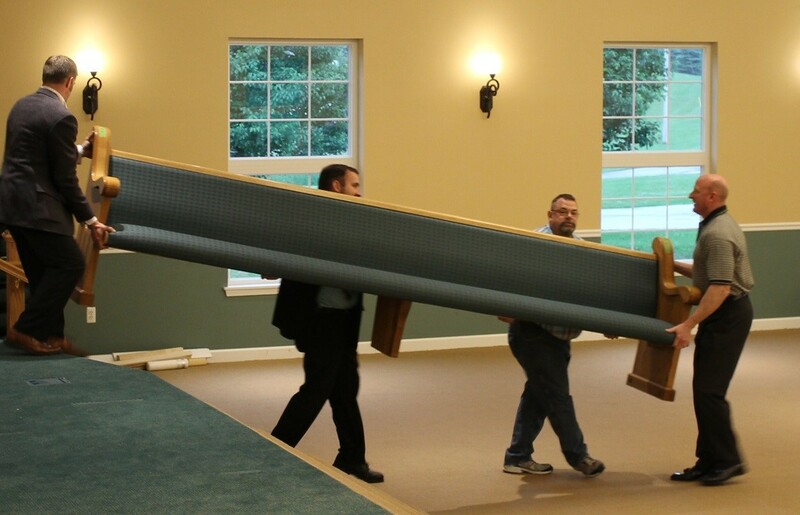 We hope that you found these tips to be useful when preparing to move church furniture!